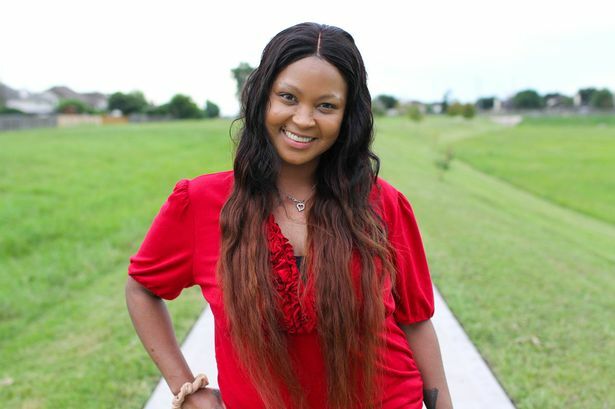 Kiiursti Mensah Ali – who looks remarkably like the ex-world heavyweight champ – reveals she was the result of a 20-year affair her mum had with him in his heyday. She claims a 1988 paternity test proves she is his child and that Ali agreed to having his name on her birth certificate. Kiiursti, 33, also tells how the boxing star visited her and mum Barbara Mensah several times when she was little – and that she has become close to some of his other nine children. But she says she was cut out of his life when he married his fourth wife Lonnie in 1986 – three years after he was diagnosed with Parkinson’s Disease. “Muhammad Ali is my dad – but everything changed the moment he married her,” says Kiiursti. “He stopped coming to see me. As the years went by he got sicker and sicker. She stopped him having a relationship with me. It’s been devastating. “Now, I want to say goodbye to him before he dies. I want her to please let me have that chance. I’m not after his money. I don’t care about that. I make my own. And Kiiursti revealed she wants Ali to give her away when she weds. During our interview, she flicks through family photos showing her as a child with the fighter who became The Greatest in the 60s and 70s. She reveals how her mum Barbara first met him when she was a 17-year-old high school beauty in Houston, Texas, in 1967. Kiiursti says: “Mom told me he spoke to her at her school. He was 22 and all the girls were approaching him, giving him the line, ‘I’m the greatest or I’m the prettiest’. “But mom just stood in the crowd, arms folded. He noticed her and asked, ‘Don’t you know who I am? I’m the king of the world’. Kiiursti says Barbara, now 68, called him and was invited to a party – but arrived to find out there were just the two of them there. 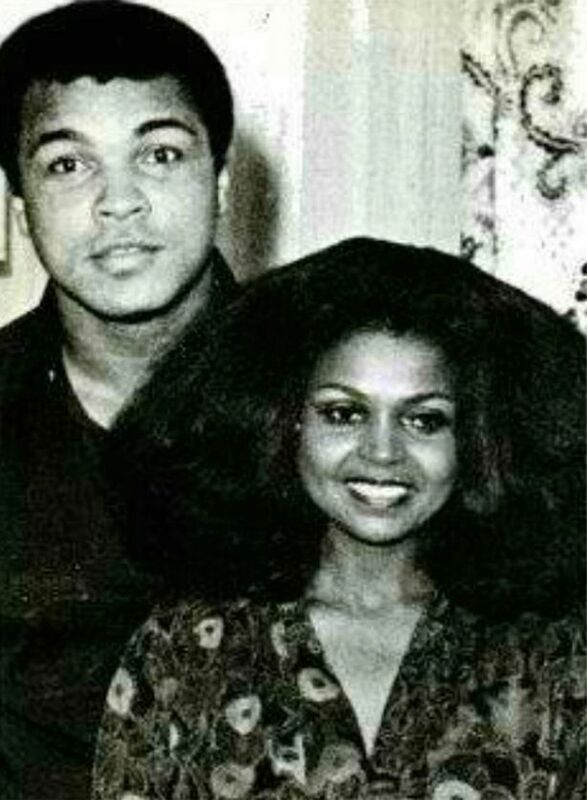 At the time, Ali was still married to first wife Belinda Boyd but soon he and Barbara were swept up in an affair. His secret love went to all his big fights including the Thriller in Manila against Joe Frazier, the Rumble in the Jungle versus George Foreman and a title defence in Puerto Rico in 1976. 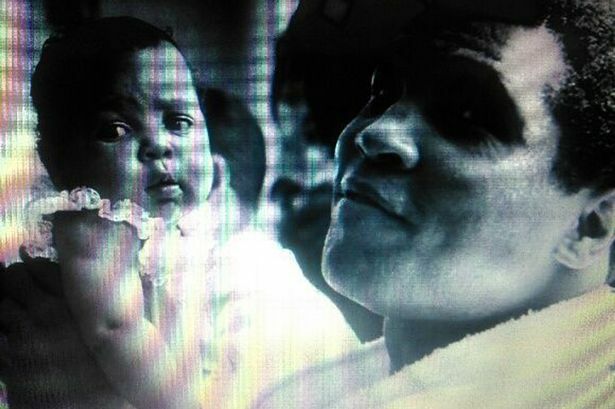 Barbara was even pictured in Life Magazine next to Ali for a special edition when he refused to go to Vietnam. Kiiursti says: “I think my mum still loves him to this day. She was the only one who stood up to him. He was the love of her life. At the time, the press knew they were together a lot, but they just didn’t know how close they had become. By the time Kiiursti was born, Ali already had eight children and an adopted ninth from three marriages and two other affairs. Kiiursti claims he never denied he was her father. His name was put on her birth certificate and he managed to find time for her, despite his busy workload and hectic personal life. She says Ali would secretly fly to Houston to see her and her mum. “He saw me as a baby and a child,” she says. “I remember when I was three or four, he would come and stay at a hotel downtown. “Dad would spend time with my mom, then with me. We’d go to Showbiz Pizza and I’d have double cheese pizza. He’d put me on his shoulders. “He was happy. I was happy. He’d pay mom maintenance when we saw him. He was a good father. Then he married Lonnie Williams in 1986. Since then the Ali family has been at war. The ex-champion’s brother Rahman claims she is more interested in 72-year-old Ali’s money than his well-being. Some family members believe Lonnie has turned him in to a “flying exhibit” taken around the world. They point to his sad appearance at the London Olympics, propped up on a podium with Lonnie repeatedly telling him to wave. But her supporters say she is protecting her helpless husband from family members who want to live off his fame and wealth. 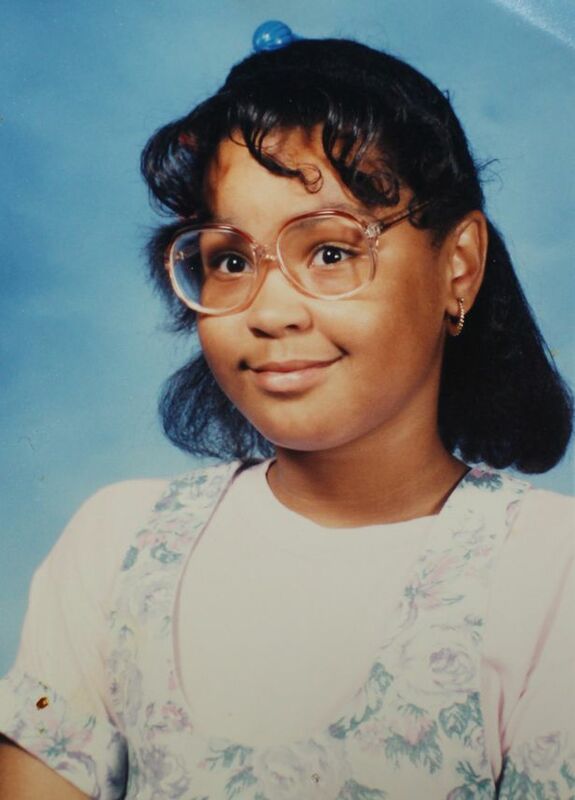 Kiiursti sighs, she longs for the days when she was little and their contact was regular. Between five and 13 it started getting less but they spent time together. But after 13, Kiiursti met him once as a 15-year-old in Dallas at an autograph session. “There’s nothing I need but his love. If Lonnie wasn’t in his life, then I would be. I’d be his tenth official child,” she says. In 1988, seven years after Kiiursti’s birth, Barbara launched a paternity battle, fed up that Ali’s contact with his child had been broken. She said at the time: “Anybody who sees her can tell right off that she’s Muhammad’s child. He’s never denied her. Barbara – coincidentally a cousin of Ali’s third wife Veronica Porsche – claimed she wasn’t looking for money from Ali but “only attorney’s fees and court costs”. Two paternity tests were carried out. Kiiursti says: “The first came back inconclusive as around that time he had just had blood transfusions. “So we took it again in 1988 and it said that I was 99.9 per cent his child. Unable to see her dad, Kiiursti started contacting his other children. She says she’s met her eldest sister Laila, a professional boxer, numerous times and enjoys a close relationship with the only boy, Muhammad Ali Junior, who she talks to regularly. She’s friendly with Ali’s first child Maryum, born in 1968. “I have also reached out to Hannah and my dad’s twins, Jamillah And Rasheda. Hannah and I talked back and forth on Facebook,” she says. “The rest said I just want money. I said, ‘Seriously, you just don’t know what’s going on, do you?’ I just left it alone. Laila and I actually used to see each other when we were younger, I’ve also been to a couple of her fights. “When I was speaking to her on the phone, she was very humble. Junior then rolled on into it, as if he’d been speaking to me for years, saying I needed to come down to see him. Like big brother, little sister. “Me and Junior talk all the time, we get on very well. Most of the Ali siblings believe I am a true sister. I’ve just not had the sisterly bond and grown up with them. Kiiursti knows all about devastating illnesses. She was diagnosed with auto-immune disease Lupus in 2004. And she has a special reason for hoping her plea works soon. She says: “I’m just about to get married to a wonderful man and I would love my dad to meet him. Additional reporting by Chris White. Muhammad Ali’s secret daughter Kiiursti Mensah Ali begs to see him one more time ‘before he dies’ 0 out of 5 based on 0 ratings. 0 user reviews.